ROLLBACK - Disney Frozen 3-Piece Toddler Sleepover Slumber Sack with Purse and Bonus Eye Mask Just $19.98 (was $35)! 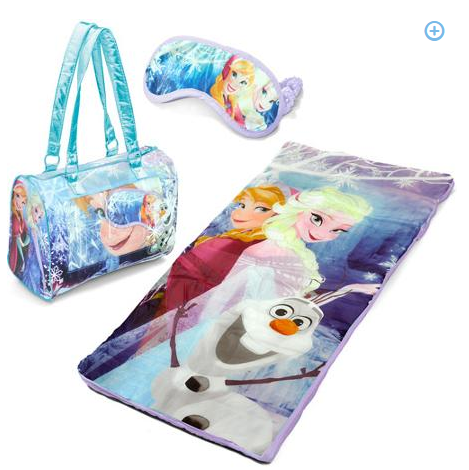 You are here: Home / Great Deals / ROLLBACK – Disney Frozen 3-Piece Toddler Sleepover Slumber Sack with Purse and Bonus Eye Mask Just $19.98 (was $35)! ROLLBACK – Disney Frozen 3-Piece Toddler Sleepover Slumber Sack with Purse and Bonus Eye Mask Just $19.98 (was $35)! Woo Hoo! Check out this hot Disney ROLLBACK deal! Hurry and snag this fun Disney Frozen 3-Piece Toddler Sleepover Slumber Sack with Purse and Bonus Eye Mask for just $19.98 (was $35) + FREE store pickup if available in your area!